Apparently, an employee recorded this at an internal reveal. Yeah, he's probably fired. Pics are blurry, but they're better than nothing. Hopefully, Toyota will finally reveal it official with some HQ pics soon. Guy knew he was going to get fired in a few days, might as well make the best of it, haha. Looks alright, but i dont see vast improvements over body design..aside from tail lights and headlights. 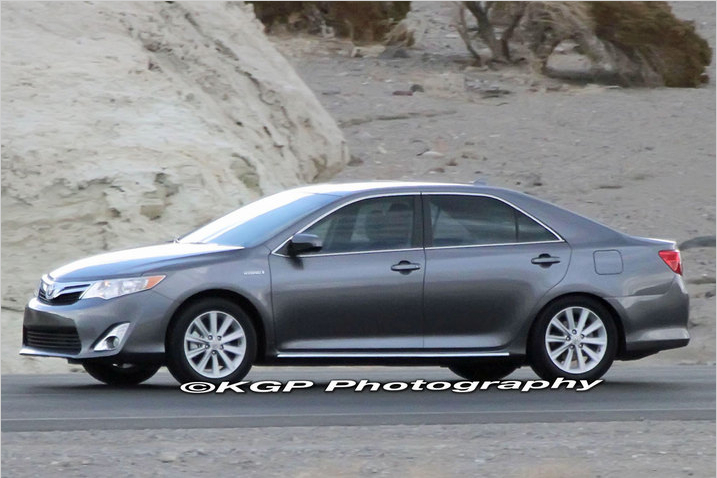 Even though at first glance, the overall shape looks reminiscent of the current Camry, this is actually completely new. Toyota has obviously decided on the evolutionary route this time around. Considering the current 5 year old model remains on top in sales, I guess it's a smart move. Do you think the white car behind is the "stock" version? Looks the same to me??? Especially with these blurry images. If you analyze it though, nothing carries over. This isn't just a facelift, it's a 100% redesign (except for possible powertrain similarities). Notice the windshield seems slightly pushed forward and the shape of the belt line is different. But yeah, all in all, it still "looks like a Camry", and not by accident. That which is not broken, need not be completely changed. Below are images of what appear to be the Asian market version of the new Camry. Note the more conservative headlights/taillights, different grill, ect. It also appears to be the hybrid. At least there is now a pic of the interior, which should closely resemble the US's (reversed of course). The new Camry would be a nice car to own and drive. However one could buy 2 Yaris's for the price of the Camry shown above. And you could buy 80 Yaris's for the price of one Bugatti Veyron SS. Yet every Veyron sells, while Yaris's may sit on the lot for months. But... unlike the Yaris, the Camry has HUGE discounts! Hybrid caught in the flesh! 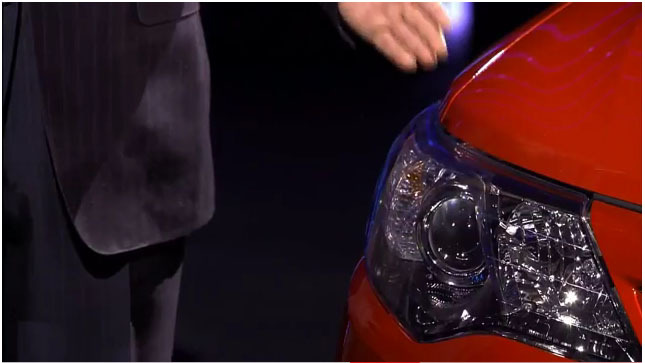 Keep in mind, the hybrid likely has a different grill/tail lights/wheels. The conventional sedan will look a bit different, which no clear pics have surfaced yet. Doesn't look bad, still playing it safe by Toyota. Not surprising since safe designs are the ones that sell to the masses. Don't expect a Camry to ever push the envelope like a Sonata, for example. My only minor complaint is the notched out tail lights seen here. OK, but not that great. I kinda prefer the filled in versions seen in the image below. Holy crap, this looks like the Fusion. The Camry Hybrid exterior looks pretty damn sweet though. This looks a lot better than the chrome filled hybrid spied above. That front fascia is fugly! I like the trend back to squared off edges. I miss the old VW BMW boxy cars from the 90's. Nissan and Toyota now both seem to be heading back to sharp angles and edges.